Sometimes we get an awesome quote written on a image but we can not copy it. We need to write it on the notepad. But it can be a big trouble if the text written on the image is too long. But there are few tools that can help you and not let you retype the text. 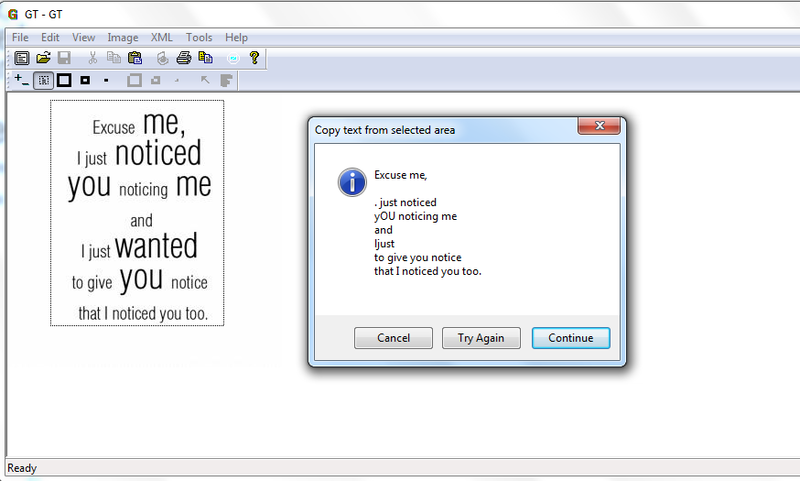 GTText is an awesome tool that can extract text from images. Download GTText from official website. You will find many versions there, download latest version. Installer will be very small in size. After downloading, install in your computer. Installer will download the files from Internet. So, you need to have internet connection for the installation of the tool. When installation is complete, run the application on your computer and a file explorer will appear. Select the image from which you want to extract the text. Click on the second icon on the tool bar. This options lets you select the text which you want to extract from the image. 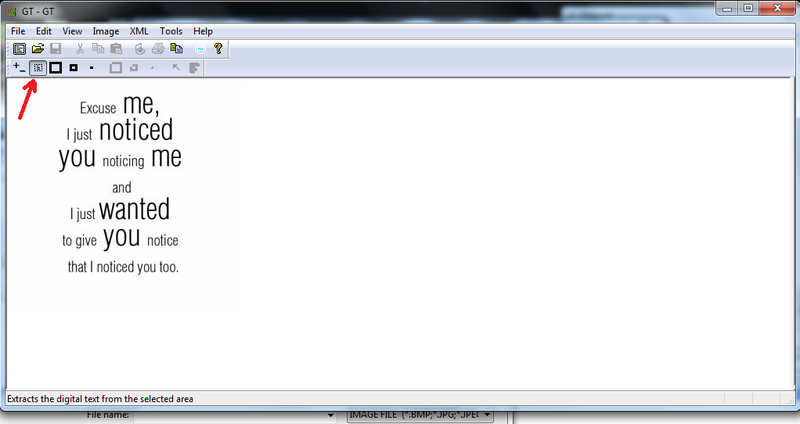 Now drag around the text which you want to extract and it will show a alert notification with the selected text. And the text will be automatically copied to the clipboard. You only need to paste it on the notepad to use elsewhere. 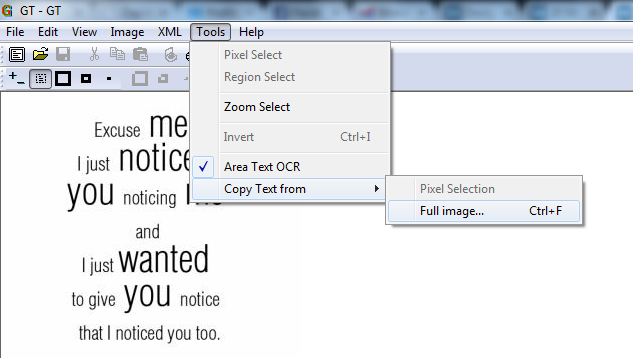 If you want to select text from the whole image without selecting, click on Tools menu and then Copy Text From. Here select Full Image. You can also use Ctrl+F keyboard shortcut. 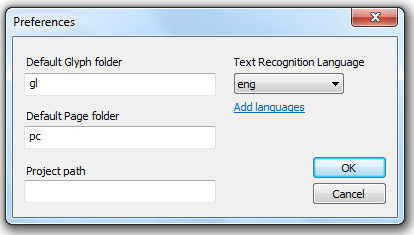 By default this tool is set to use English language. But it supports many other languages. You only need to change the preference. Click on File menu and then select Preferences. Here select the default language. The tool works fine with good accuracy. It supports multiple languages that makes it worth to use. It is freeware and lightweight. It may be a useful tool for people who deals with images and text. Try this tool and share your experience with us.